The party is always on with the Block Party Ultra! Whether you’re celebrating a birthday, an anniversary, a national holiday or any other special occasion, you can count on Block Party Ultra to deliver the fun. 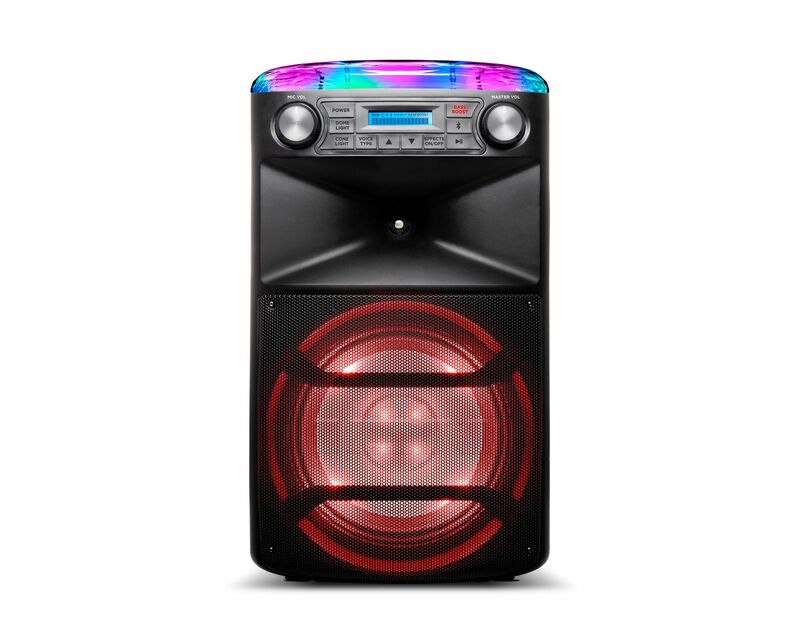 With 120 watts of power and a 10-inch speaker system, you’ll easily fill any space with great sound. Stream music wirelessly from any Bluetooth®-enabled device. Or use the included microphone and 60 built-in vocal effects for the most karaoke fun ever. You can even add another mic (sold separately) and have karaoke duets! Create a custom light show that makes the most of your event—red and green for your Christmas party, red/white/blue for your all-American 4th of July or all 6 colors for all-out fun! Block Party Ultra really has it all—there’s a USB charging port for your phone, an aux input for non-Bluetooth devices and a telescoping handle and built-in wheels to take the party wherever you want to go. Best of all, the battery lasts for up to 50 hours, so the fun keeps going, no matter how long everyone stays! Select vocal effects like Rap star, Evil Robot, Rock Soloist and more!